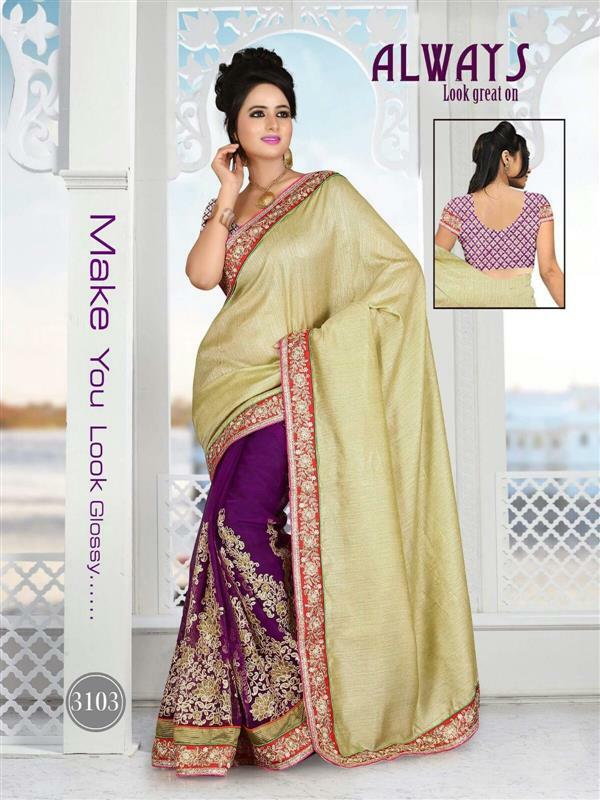 Get the traditional but trendy look with this beautiful pink and haldi yellow half half georgette bhagalpuri saree. 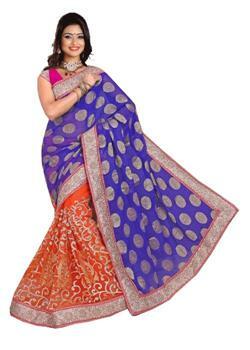 The beautiful bhagalpuri thread work border is twisting around the entire saree. 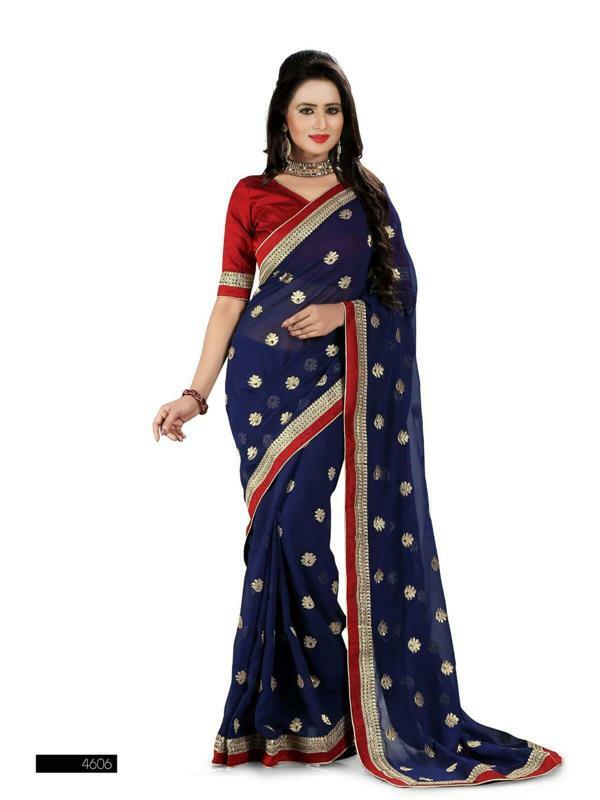 The pleats are enhanced with rich embroidery, zari work and motifs as well the pallu is having the same patches that magnify the look of the whole saree. 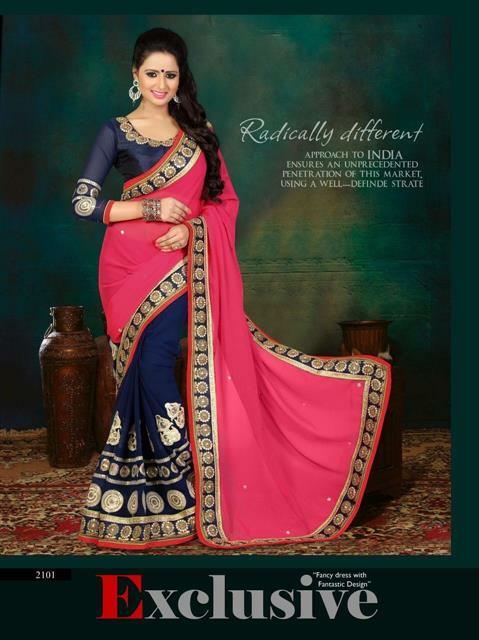 It is paired with unstitched matching pallu.